23rd April is a special day for book lovers, one because it is World Book Night where free books are left on public transport, in parks and other public places for you to grab and two because it would have been William Shakespeare’s birthday. It’s also St George’s Day. So, a day for celebration all round! With everyone getting excited about the imminent arrival of a new Royal (we’re very excited about what names Harry and Meghan are going to choose!) we thought we’d jump on the Royal bandwagon and tell you some of the best attractions associated with the house of Windsor for you to explore. This Easter, why not enjoy the traditional Easter treats in the regions that they originated? Everyone has their own traditions when it comes to the Easter bank holiday, whether they celebrate the religious aspects or not and many of them involve food, so here are a few of our favourite Easter treats and where they can be found! Our top picks for Easter events! We’ve been promised brighter weather, the lambs are frolicking in the fields, daffodils are sprouting everywhere and it’s the Easter holidays! If that wasn’t enough, the Easter bank holiday is just around the corner, so naturally, you’re going to need things to fill your time and that is where we come in. Literary characters and figures are some of Britain’s greatest exports and the UK’s love of reading is showcased yearly across the country at literary festivals and events, with everything from full on conventions to writer’s workshops. Cheltenham Music Festival is celebrating it’s 75th anniversary this year, so why not head to the city and join the celebration from 5th – 14th July, tickets went on sale on 3rd April 2019. The full 2019 programme for Manchester’s International Festival has been revealed with plenty of exciting acts for you to enjoy. Taking place from 4th-21st July, the annual event has been getting bigger and better with each passing year. The people have spoken and rated their favourite destinations to visit in 2019 with England’s capital coming out on top beating competition from Paris, Marrakech and Bali, the North of England and places in Scotland were also in the top rated destinations. Spring is a wonderful time of year for exploring, especially in the UK where there are acres of fields and forests all starting to burst with colour. It is also the time of year that wildlife starts emerging after the long winter, birds return from warmer climates and you can see lambs frolicking in the fields. Eating is one of life's great pleasures and as the UK is home to some of the world's most iconic foods, the Yorkshire Pudding, Haggis and Rarebit to name but a few, and of course the multicultural society also means you'll find dishes from all over the world all on your doorstep. Family friendly events happening in the UK. The UK is full of great attractions that are family friendly and great fun for all! It doesn't matter whether you're watching the pennies or not, everyone loves a free day out, so if you're on a budget or just looking to get the most for your money, you're in the right place. Here at Staytripper we aim to connect you with the best activities and events across the UK so you can make the most of your trip. If you’re a daredevil or someone who likes to stay active while you’re exploring new places, we can help you find the perfect activity for you. If you are a fan of festivals, then you are in luck! 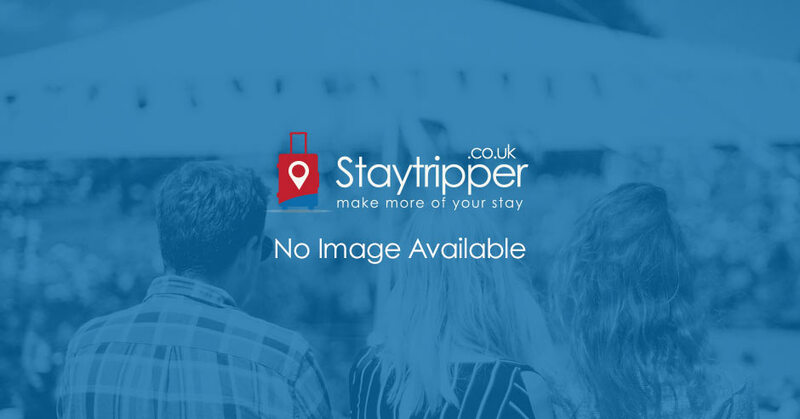 Staytripper aims to connect you with the events that you want to attend, including intimate music gigs, big scale musicals, dance events, food and drink festivals, community events, farm shows and more. Full of sound and colour, Cardiff is a jewel in Wales’ crown, there truly is something for everyone in this accessible and interesting city. From the hustle and bustle of the St David’s Centre and the traditional high street and arcades around the mall, the history and heritage of the castle and parkland. The city has an amazing street style and fashion subculture that you’ll notice by exploring some of the quieter shopping areas. Staytripper Cardiff is launching soon!